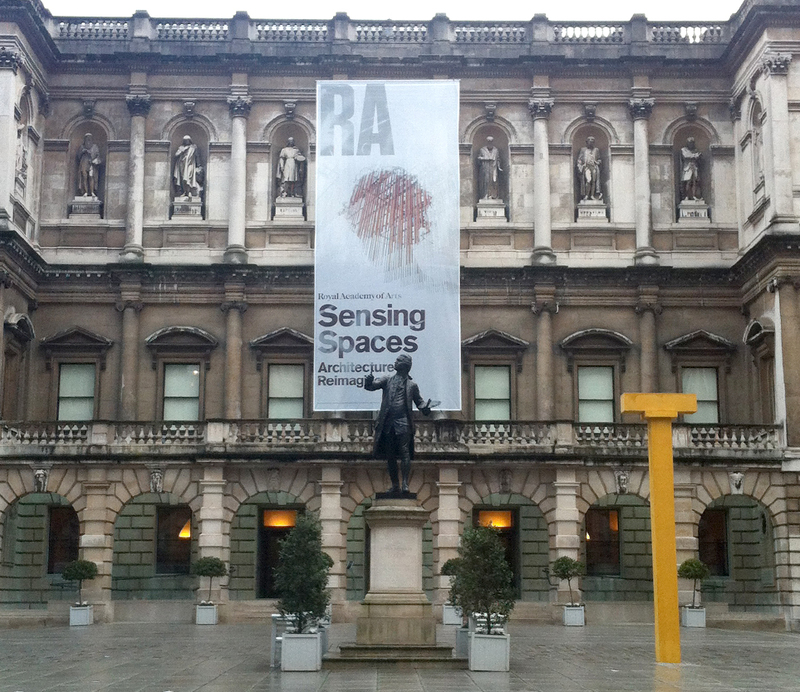 the royal academy is hosting ‘sensing spaces’ an exhibition that explores how architecture shapes our lives. there are no drawings or small models. 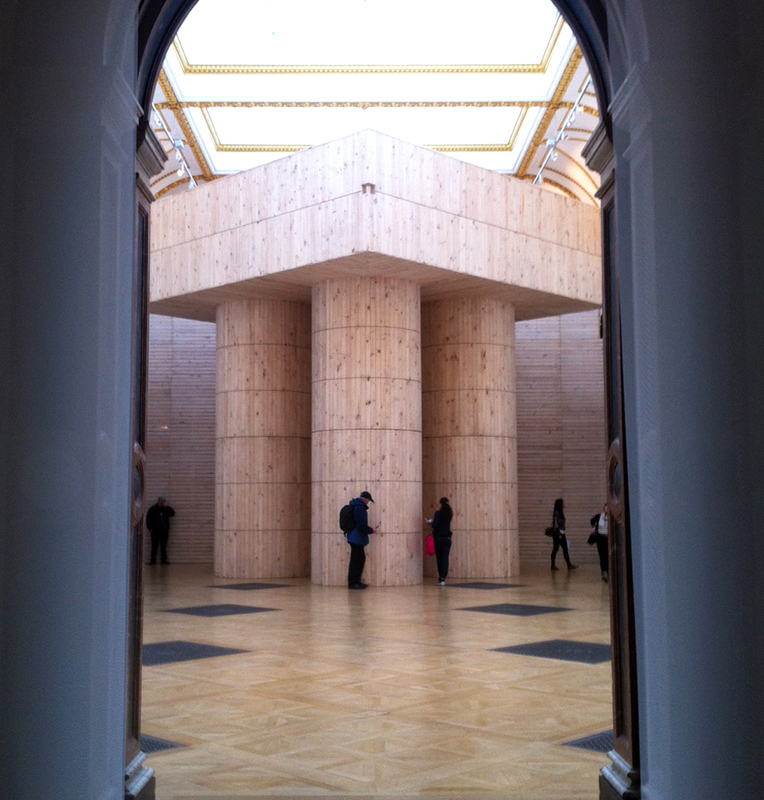 instead, seven large installations from seven creative architectural studios are dotted in and around burlington house. each one is grand in scale and highlights a different aspect of architecture. the aim is to change the perception of architecture from beyond practical and functional structures. at its heart, each project questions how buildings can engage the human spirit. architecture is a sensory experience and each installation plays to the manipulation of light, mass and movement to appeal to our senses. you are encouraged to take your time walking through each project and fully immerse yourself in the space. this monumental structure looks like a fort or castle but despite the aggressive appearance it’s designed to offer perspective as well as protection. each of the 4 legs house a hidden spiral staircase up to a viewing pen close to the glass ceiling. it’s an astonishing vantage point. something that could’ve been achieved with some simple scaffolding but climbing the structure and smelling the pine is a far more satisfying experience. 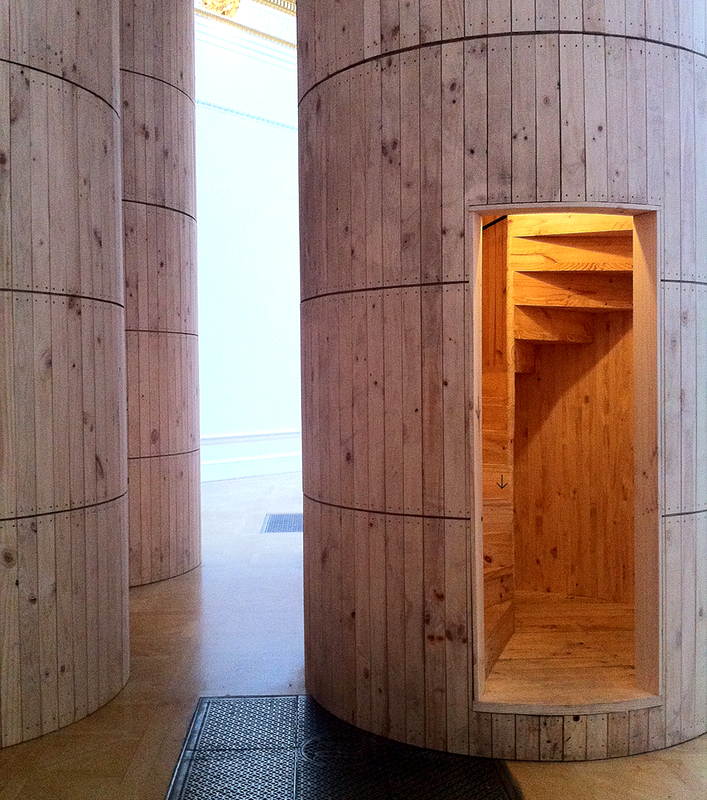 i ended up seeing this exhibition purely by chance as my day-trip to london coincided with a tube strike. walking everywhere that day meant that i saw a lot more of the city. the buildings and streets (and wrong turnings) lead me to visit this exhibition so i found it very fitting to take a look and find greater pleasure in the spaces we inhabit.